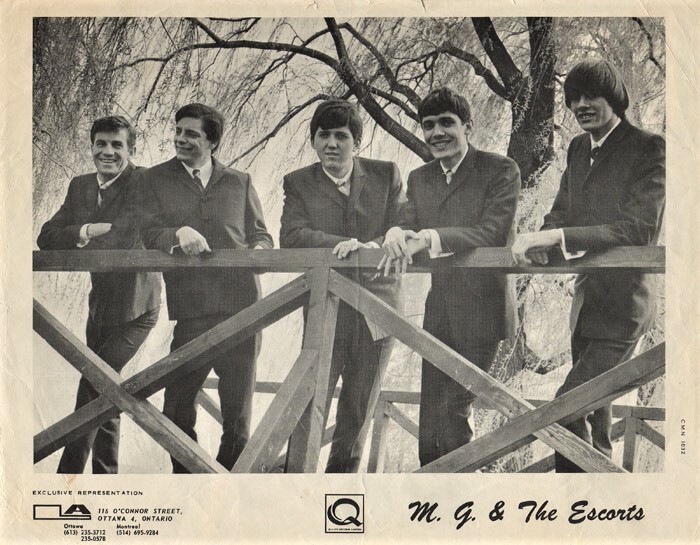 He started his career in music as the lead singer in MG & The Escorts (also known as Graham Power & The Escorts), a five-piece that included drummer Billy Bryans and guitarist Mike Gauthier (who both went on to have successful careers in various groups) and bassist Glen Stephen. In 1966, the group’s debut single, “Please Don’t Ever Change,” attracted attention from local radio station CFCF, and “Someday Fool,” its follow-up on the Reo label, became even more popular, giving the group enough lift to headline Montreal’s Bonaventure Curling Club. They would also join the Kingston Trio on tour in the Maritimes, and created a short but successful western circuit playing high schools and small civic centres in and around Ottawa, Kingston, and Brockville. Following his brief claim to fame as a singer, he moved into the music business, eventually making his mark as a senior marketing executive, first with CBS, then MCA (now Universal) in Canada. At CBS in the ‘80s he led what seemed an invincible team that included Brad Weir, Art Graham, and Kim Zayac. As a team, they helped turn a long list of acts, including Meat Loaf, Cheap Trick, Loverboy, and Platinum Blonde, into multi-platinum sellers. At MCA, Powers headed a team that helped forge careers for another playlist of acts that included Huey Lewis & The News, and Lionel Richie, who was striking out on his own from The Commodores. A Memorial Service at Mountain View Funeral Home (Prairie View Chapel, in Calgary, is to be held this Tuesday, March 26, at 2:00 pm. A Celebration of Graham’s life will be held this summer in Ontario. Details to follow. A long list of acknowledgments about the man and his life can be viewed on his Facebook page.